"Can I borrow your pen? "...Sign here...Initial here...Signature required..."Do you have a pen? "...Where's my pen?... Even with the ability to do electronic signatures, we all still need pens. So let's make them fun and all about one of our favorite hobbies: needlework. Kreinik's Stitch-A-Pen series includes gorgeous geometric designs stitched in Kreinik silk and metallic threads. You can see the full line here. Now available: sampler-themed designs. These mini samplers are stitched in silk threads and capture the spirit of historic needlework, including bright colors and a little humor found so often in original sampler designs. 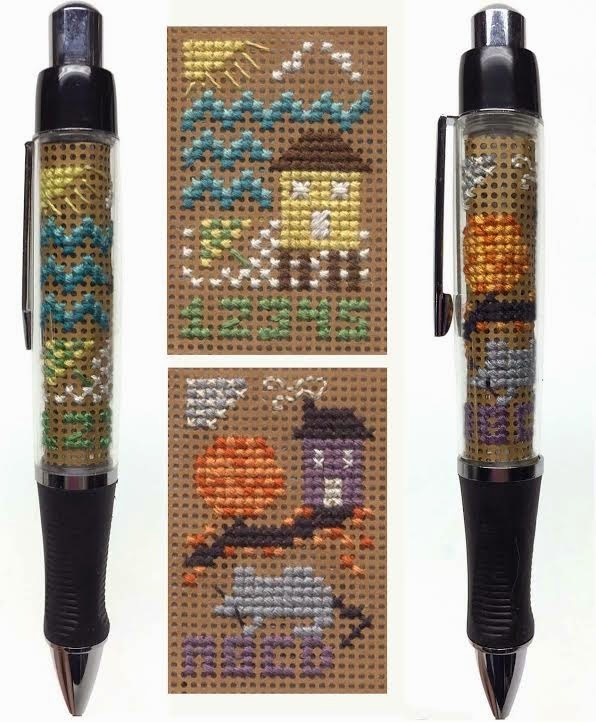 The new seasonal sampler pen designs are quick cross-stitch projects that finished as a useful high-quality pen (pens use Parker® refills, available through any office supply store). Each full kit includes everything you need: Kreinik thread, Wichelt 14-count perforated paper, needle, chart and pen. Choose Spring, Summer, Autumn, or Winter. 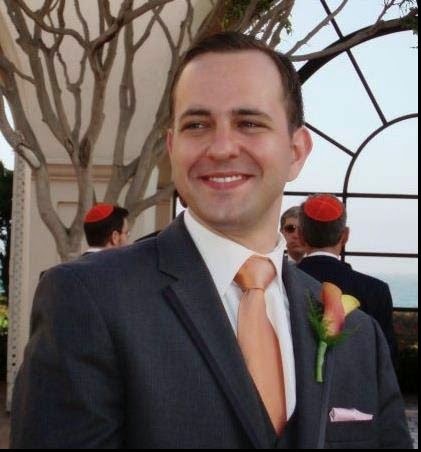 Charles Kreinik, 28, a charismatic character, one who could bemuse his friends with dark and slanted humor, took his life on April 8, 2015. Charles was the son of Myla and Doug Kreinik of Parkersburg and the brother of Danielle and brother-in-law of Jonathan Siegel of Los Angeles, CA and boyfriend of Mandy Iverson. He had friends in all four corners of the globe yet suffered and hid deep depression. After graduating with a degree in journalism from WVU in 2009, he wanted to help people. He went back to school to earn a second Bachelors degree, this time from the Cincinnati College of Mortuary Science. Unfortunately, this career was not at all what he imagined. Within the funeral industry he moved around, trying different work situations in Baltimore, Cleveland, Kansas City and Minneapolis. The continual frustration and disappointment of not working with the living added to his depression, finally causing his demise. We have heard from his friends around the world—school mates, exchange students, fraternity brothers, camp friends, former teachers and work associates. Everyone has memories of his boisterous laughter, mischievous eyes, wacky humor, slanted smile, and willingness to always help others through their difficulties. The last time his parents spoke to Charles was on Easter Sunday. "When Charles called," Doug notes, recalling that conversation, "we would usually talk for at least an hour. We were in the car, so to keep our conversation going, we drove out of Parkersburg, through the rolling hills, across the ridges and down into the valleys. It was a very positive conversation on a beautiful spring day, with new life sprouting and as he spoke of the future ahead." Visitation will be Thursday 6 - 8 p.m., and the funeral service will be held on Friday April 17, 2015 at 4:00 p.m., both at Vaughn Funeral Home in Parkersburg, West Virginia. Concluding services and burial will follow at Mt. Olivet Cemetery. Charles loved people, he loved life to its fullest. He loved his family, his friends, and even the strangers he just met. We will be celebrating Charlie's life. If you would like to honor Charles, donations can be made to the Kreinik Fund at the Parkersburg Community Foundation or to your choice of charity that works with alcoholism, chemical dependency or suicide prevention. 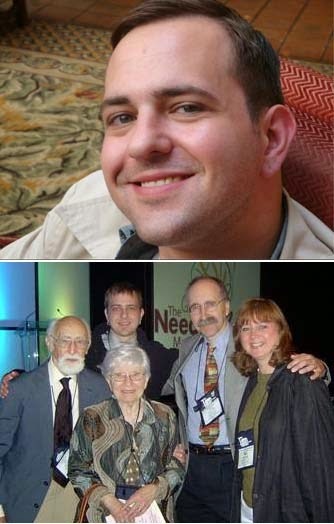 Our dear friends, family, customers, stitchers...some of you may have heard that Charles, the beloved son of company owner Doug Kreinik and his wife Myla, and brother of Danielle, passed away suddenly. As we barely grasp the heartbreaking news, and grieve to the very depth of our beings, we simply ask for your thoughts, prayers, hugs. Our wonderful, dedicated staff is handling the company operations, and we thank all of you for your support during this time.